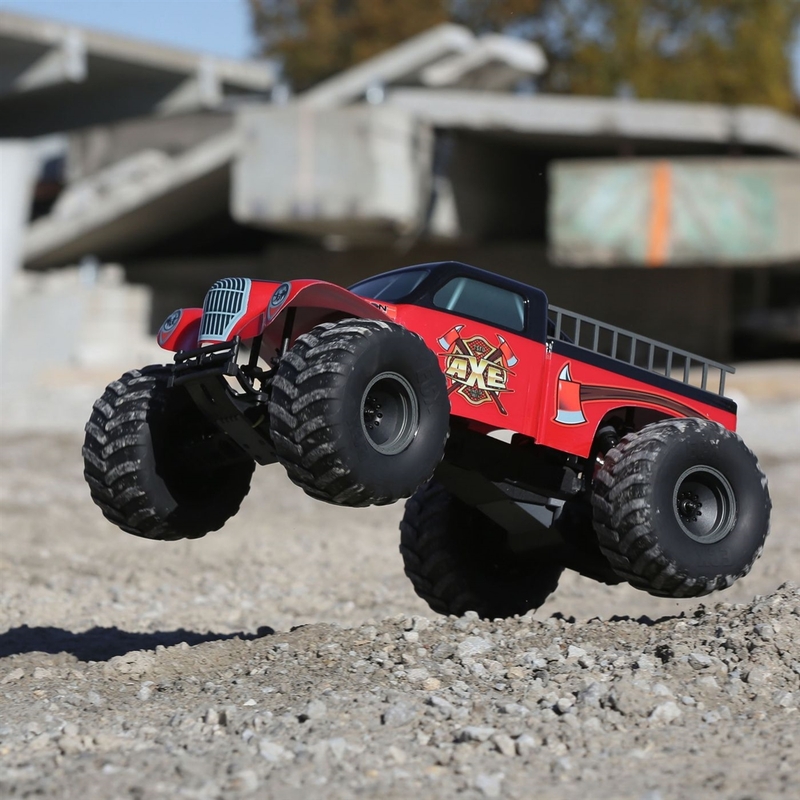 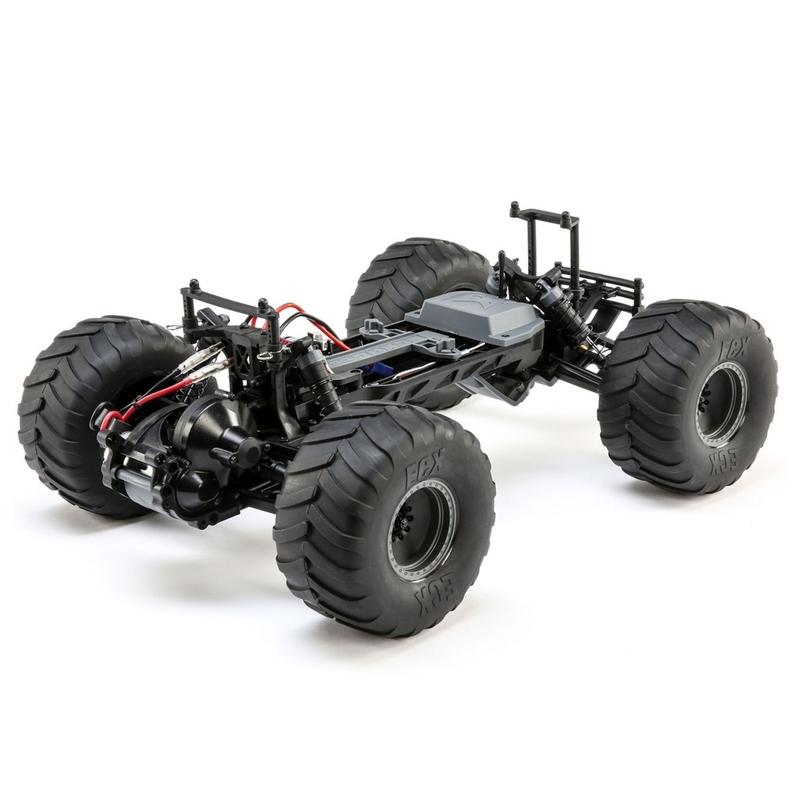 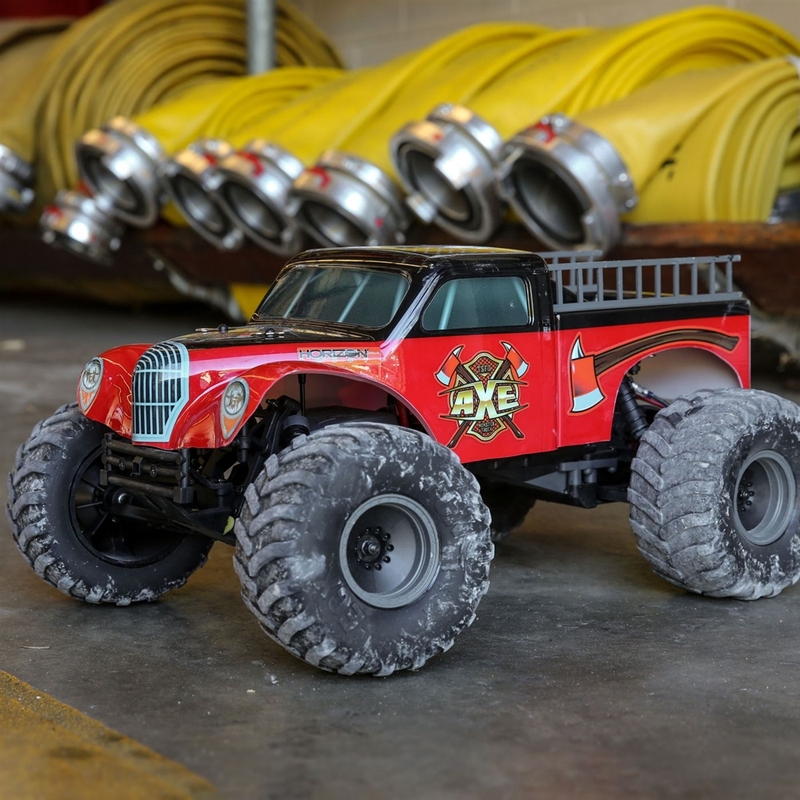 Bring the heat with the ECX® Axe 1/10 2WD Monster Truck. 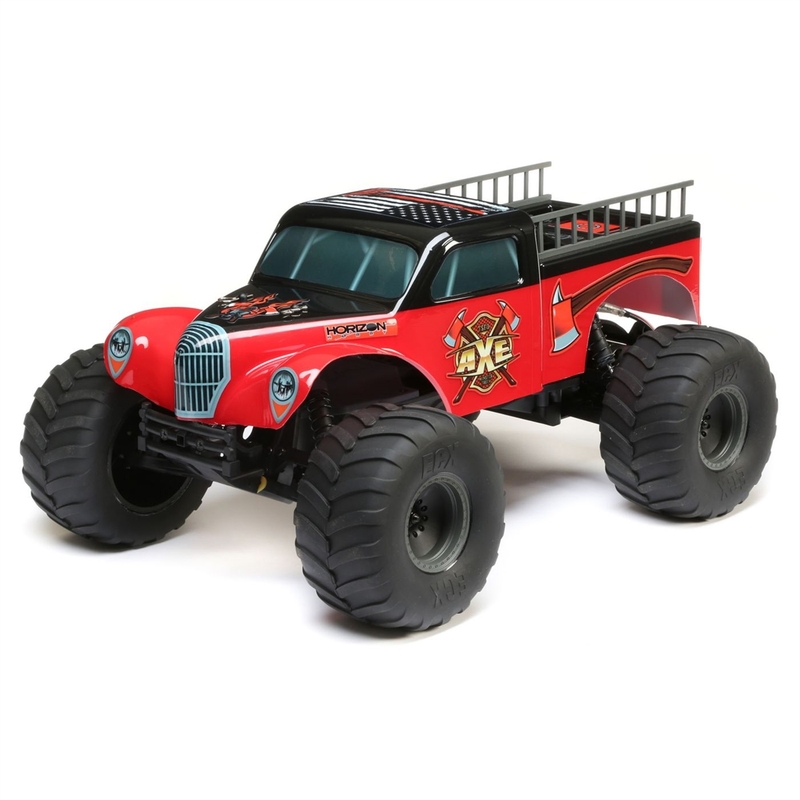 Featuring a licensed Avenger monster truck body, wheels and tires, this merciless savage doesn’t back down from careening over rough terrain and is just as intimidating on the neighborhood blacktop. 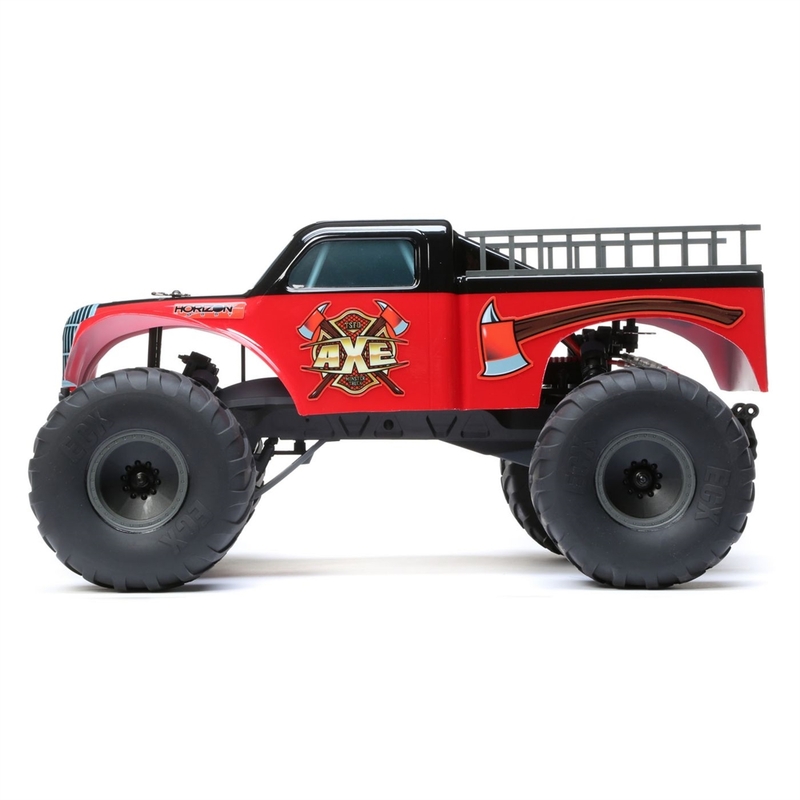 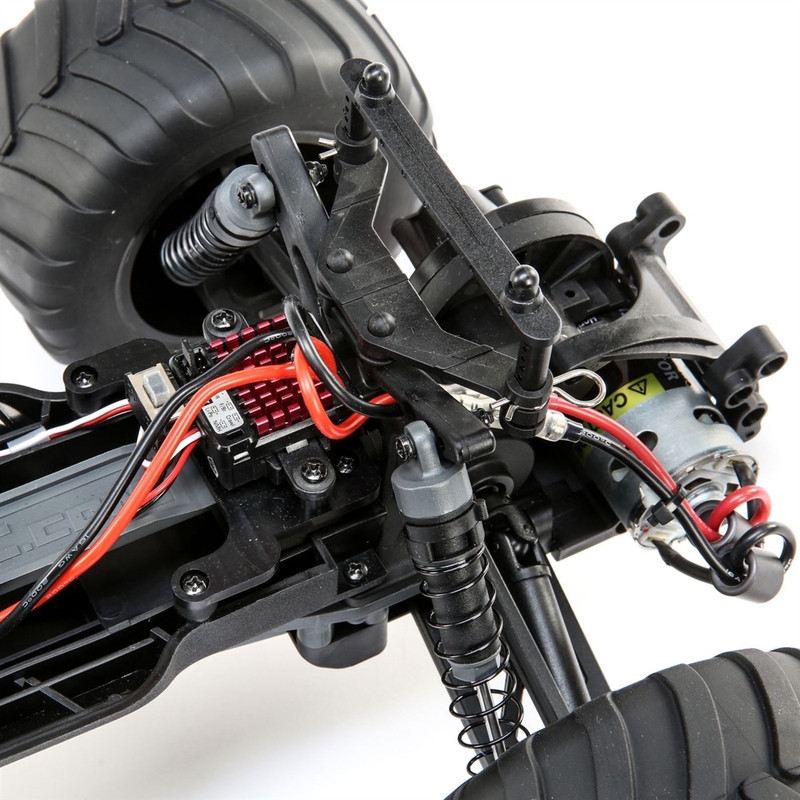 Not only does the Axe Monster Truck feature the hard-hitting durability drivers have come to expect from the ECX brand it also features Spektrum™ STX2™ 2Ch 2.4GHz FHSS Radio System, Dynamite® 12T brushed motor, and WP 60A FWD/REV Brushed ESC. 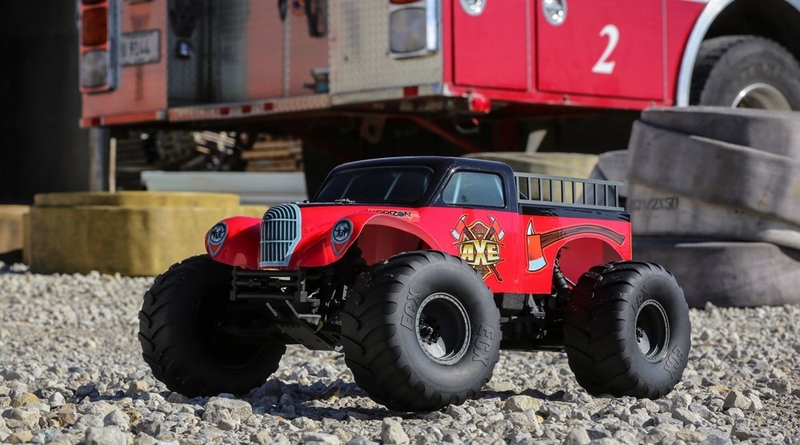 Pick your power, charge it up and take on all comers.